SUP (Stand Up Paddling) with Leitrim Surf. “The silence and peace up here in the North Leitrim hills is unsurpassed,” says walking guide Tina Pommer. It’s small, off-radar and home to just 32,000 souls. But Leitrim packs a serious punch… and lots of surprises for the visitor. WB Yeats isn’t the only author associated with Leitrim. John McGahern was born and raised here, and Booker Prize winner DBC Pierre famously made it his home. If you catch one piece of literary landscape during your visit, make it Glencar Waterfall - the 50-foot falls immortalised in Yeats's The Stolen Child (“Where the wandering water gushes / From the hills above Glen-Car / In pools among the rushes / That scarce could bathe a star”). Dunking into a little pool just outside Manorhamilton, they're pure magic. No, really. Leitrim has a souvenir-sized coastline, but that’s enough to give it a stake in the Wild Atlantic Way, a couple of very surfable waves, and what may be Ireland's most ambitiously-named adventure company: Leitrim Surf (www.leitrimsurf.ie). “Leitrim has the best of both worlds," says Lee Guckian, its founder. "Not only do we have an amazing variety of lakes, rivers and canals, with everything from grade 3/4 white water to gentle calm, flat water, but we also have the Atlantic and plenty of swell." While you're at it, take a Canadian canoe down the gorgeously off-radar River Bonet with Adventure Gently (www.adventuregentlyireland.com), escape the rat race with a ‘wilderness therapy’ course at Lough Allen Adventure Centre (www.loughallenadventure.com) or do a little of everything (including an electric bike trip) with Big Day Out in Leitrim. Aw, shucks. The last thing you'd expect to find in Carrick-on-Shannon, squeezed between a pair of pubs on Bridge Street, is a miniature take on the Taj Mahal. But that’s exactly what Costello Chapel is – a monument to love. 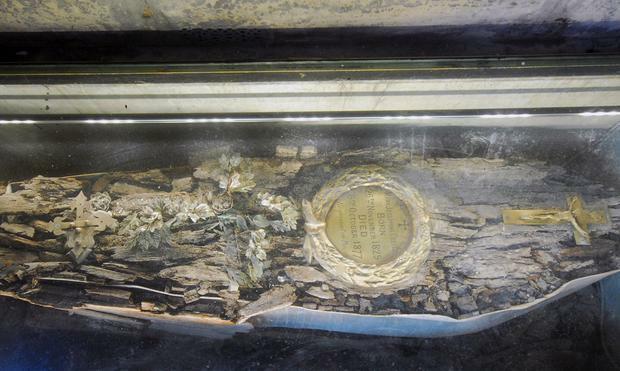 The chapel was built by local merchant Edward Costello after the death of his wife, Mary, in 1877, and the couple continues to rest beneath glass panels today, their coffins on full view beneath a stained glass window. It’s an extraordinary attraction, more tabernacle than a temple. Conor and Ronan Maher’s Oarsman is one of my favourite gastro-pubs. The brothers are brilliantly committed to local produce and craft beers (most ingredients are sourced within 60km of the table), they do mean winter fare (try the Carrig beer-battered fish for €14.95, or the house burger with secret sauce and homemade fries for €14.50), and the atmosphere is effortlessly warm, comforting and cosy. What's not to like? For a tasty (and Malaysian-influenced) alternative, try The Cottage in Jamestown. Remember that? 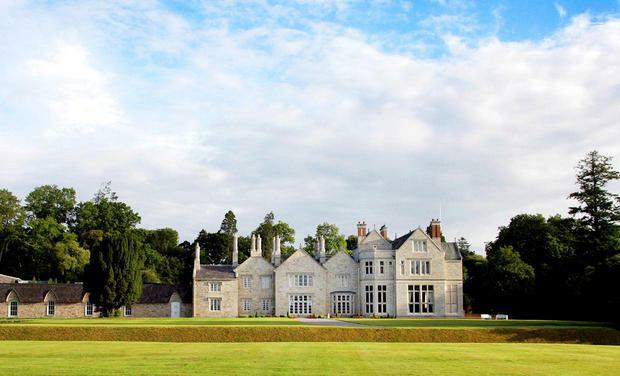 Even if Ireland’s most famous couple hadn’t got married in Lough Rynn Castle, however (that was in 2010, for the record), the five-star would still make our list. Leitrim's finest hotel is a neo-gothic property boasting dramatic walled gardens and an agreeably imperious baronial hall, as befits one of the few Irish estates that can trace its history back to royal families. The ancestral home of Lord Leitrim overlooks Lough Rynn, with rooms available from €55pp (including a €25 voucher off dinner) going to press. For an alternative, check out Tawny Lust Lodge, which has three nights self-catering from €119 next spring. 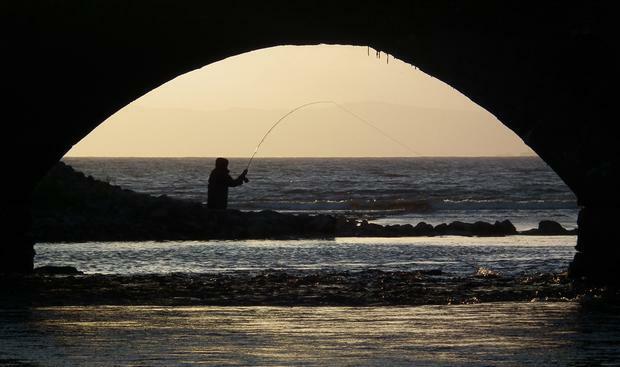 "Tullaghan is just a couple of miles from Bundoran but is in fact Leitrim's coastline," writes Joel Smith, who shot this fab photo. "Stopping beside the Drowes River, you've got a very good chance of seeing a Salmon leap. The river has boasted Ireland's first-caught salmon of the year several times, but it's not just a Mecca for Fishermen... but to lovers of wildflowers too." Otters have been known to taunt fishermen in the final pools before the Drowes enters the sea, Smith adds, with the gushing waves and water drowning out traffic between Bundoran and Sligo only a couple of hundred metres away. Sigh! Or it's got designers in its courthouse, more to the point. The Dock is an inspired reboot of Carrick-on-Shannon's 19th-century courthouse, and inside it you'll find Leitrim Design House, a treasure trove recommended by the Craft Council as a leading champion of Irish craft and design. 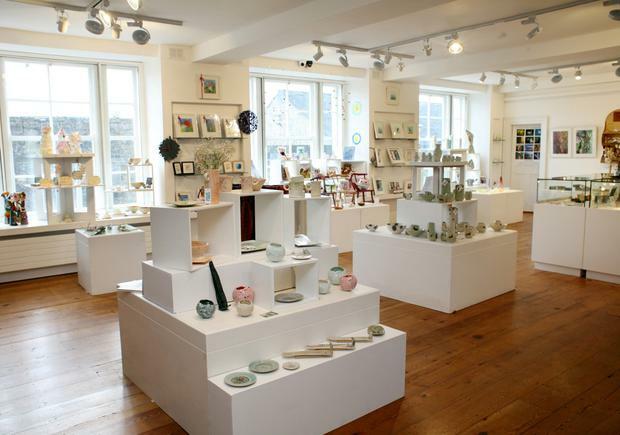 The gallery and shop represents over 200 makers and artists working in a wide range of disciplines, offering both a chance to nab some stocking fillers, and support local creative industry too. If you like this, make the Leitrim Sculpture Centre in Manorhamilton your next stop. 8. Rat race? What rat race? Hotels don't have a monopoly on pampering, you know. Ard Nahoo Eco Retreat was set up 13 years ago by Noeleen Tyrrell. Stashed away near Dromahair in North Leitrim, it's a unique retreat, based around Eco Cabins stocked with antique furniture, wood pellet stoves and views of the rolling countryside. On site, you can take part in a yoga class, soak in the outdoor hot tub overlooking Lough Nahoo, or indulge in a massage. And, sure why not? 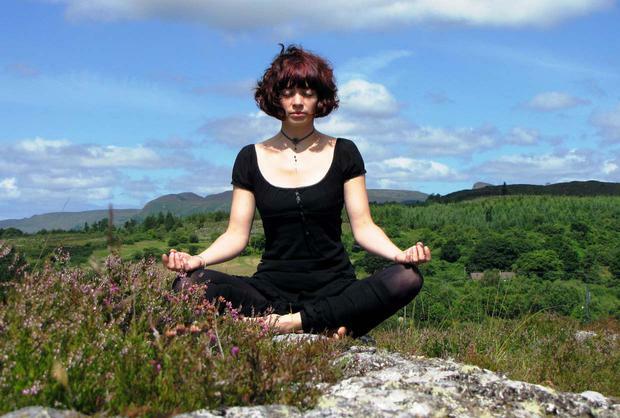 Two night breaks start at €250 midweek, with yoga retreats throughout the year. "The silence and peace up here in North Leitrim hills is unsurpassed, says Tina Pommer of Leitrim Landscape Guided Walks. "Those who make it up the steep trails will be rewarded with a little magic every time..."
She’s not kidding. From riverside trails to hidden waterfalls like Glencar (pictured) and Fowley’s Falls (humming with wild garlic in the spring) to the Bonet Valley around Manorhamiton, there are endless pockets of picturesque countryside to explore. The Aurora Borealis have even been known to appear in Leitrim... and hikers who traipse up O'Rourke's Table, a mountain on the edge of Dromahair with several hundred steps cut into the side, are privy to amazing views of Lough Gill, Parkes Castle and Sligo Bay. "There's a metal box hidden on the mountain top," reveals Independent.ie travel writer, Nicola Brady. "Inside, there's a notepad for people to write down their musings as they sit at the top." Details: www.tawnylustlodge.com/leitrim; guided walks from €25pp. 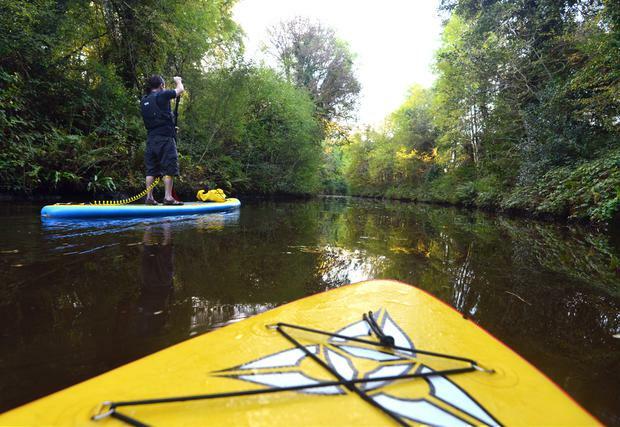 Stand Up Paddling (SUP) in Leitrim. You’re heard of the Great Western Greenway, right? Well this is a similar prospect, except on water – that stretch of the Shannon from Drumshanbo to Carrick, to be precise. Several local activity providers can create packages along the route - including cycling, walking, horse-riding and SUP (Stand-up Paddleboarding). Not that you need to book an activity, of course. The Blueway allows unguided paddling and walking along the Lough Allen Canal too - gorgeously off the beaten track.